Mila Kunis finds the perfect boyfriend in Justin Theroux. But after a year, he disappears, breaking up by text. Mila gets his attention when she texts back that she's burning his stuff. Suddenly boyfriend returns, because he's an international spy and a gang of assassins want a trophy he left with Mila. Guns blaze, and soon Mila and best friend Kate McKinnon take off for Europe, where the close calls keep coming. I admit I laughed a few times, but this plot seems to pop up at the end of every summer. McKinnon treats the project like a Saturday Night Live sketch, which might have worked... if the movie hadn't run a lengthy two hours, or at least thirty minutes too long. 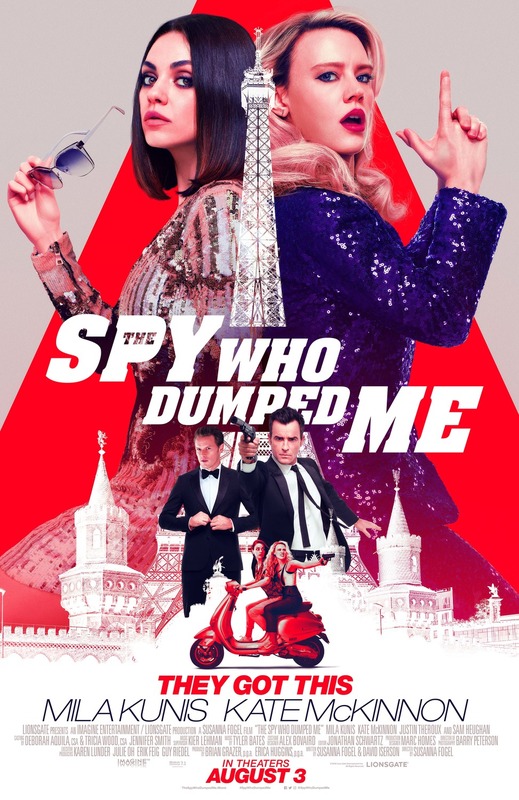 "The Spy Who Dumped Me," rated "R," 1 star. Does it deliver what it promises? Rehash of a stale plot. Is it entertaining? Poorly placed jokes mostly fall flat. Is it worth the price of admission? Move along folks, nothing to see here.